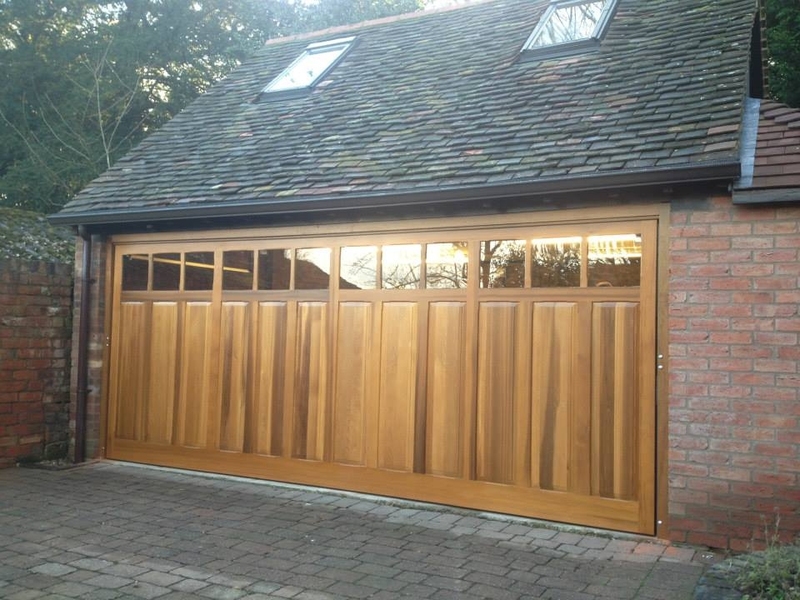 Arridge Garage Doors Ltd, based in Oswestry, Shropshire, have been Shropshire’s leading garage door company since 1989. We specialise in discounting the premier brands of garage door, such as Hormann, Garador, Cardale, Carteck, Woodrite, Cedar Door, Aluroll and so on. We have trade and retail customers, all of whom enjoy our heavily discounted web-site prices. 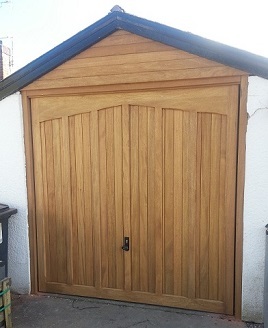 One of our fitters, Adrian, who installs doors locally in Oswestry, Shrewsbury, Whitchurch, Telford, Craven Arms, Church Stretton and surrounding areas, has been installing garage doors in Shropshire for over fifteen years. Another fitter, Paul, covers the Shropshire borders, North and Mid Wales. They will professionally install any garage door you buy from us, if you prefer to have a full garage door supply and install service. Garage Door installation in Shropshire. Some DIY customers and numerous trade customers prefer to install the garage doors they buy from us using their own tradesmen, as they save some money. Straightforward installations of up & over doors are ideal for non-specialist installation. However, busy local building companies, such as Primoris Homes, WGW, GGL Homes and many more, like us to install as well. 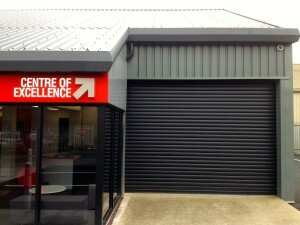 The more complex garage doors to install, such as electric garage doors, double garage doors and the more popular sectional garage doors, insulated garage doors and bespoke garage doors, are installed by us for more and more trade customers, as they know that our work is of a high quality and it is our area of specialisation. 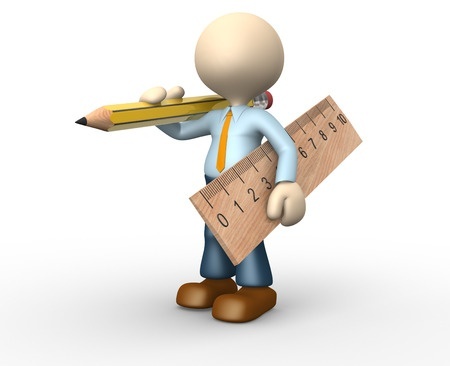 On receipt of a firm order, all supply and install jobs are fully surveyed and all work is fully guaranteed. What do our local customers say? Testimonials for our Shropshire garage doors work. 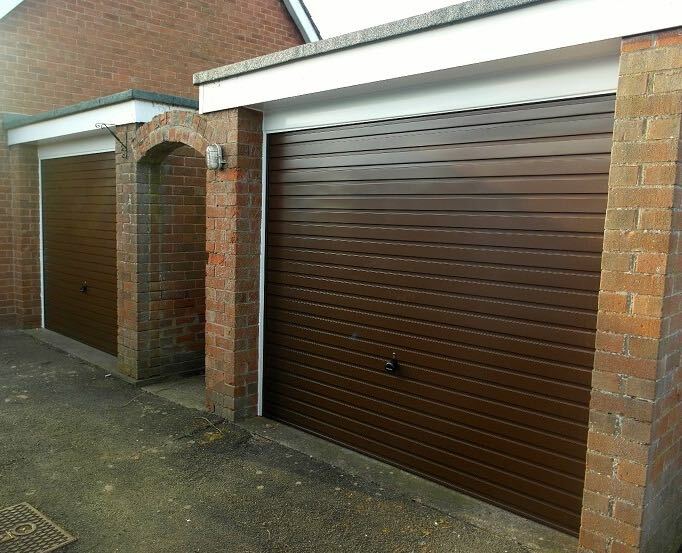 Pair of Horizontally Ribbed garage doors in brown, fitted by Paul. 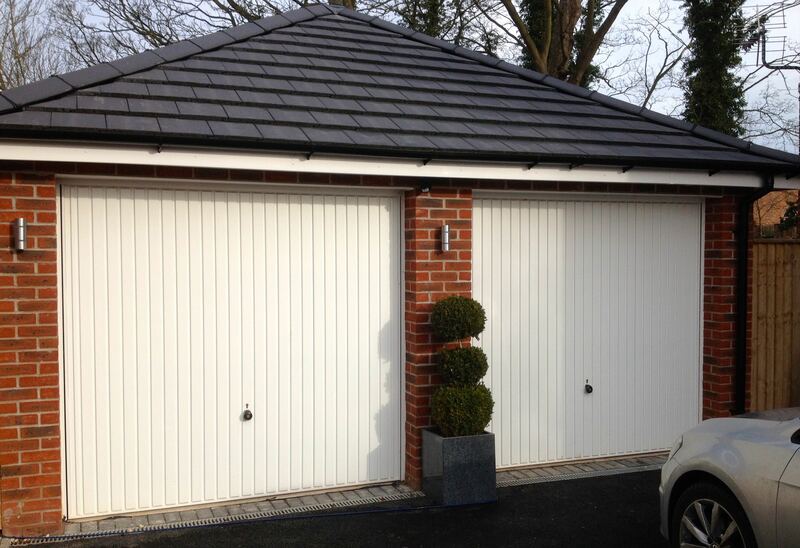 Hormann Vertical rib steel up and over garage doors give a moden look. Double Woodrite cedar up and over door with optional glazing and automation. Arridge Garage Doors Ltd is Aluroll’s leading on-line supplier and installer in Shropshire and UK wide. 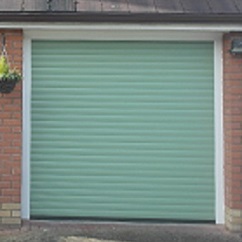 Aluroll are our main supplier of insulated roller garage doors. 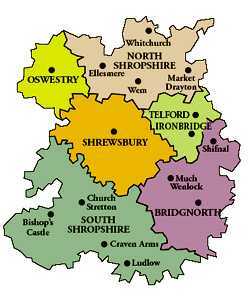 They are also based in Oswestry, Shropshire. We discount their brand by 42-44% off list and deliver Nationwide. In Shropshire, we have our in-house fitters to professionally fit any of the Aluroll roller garage doors and security shutters. 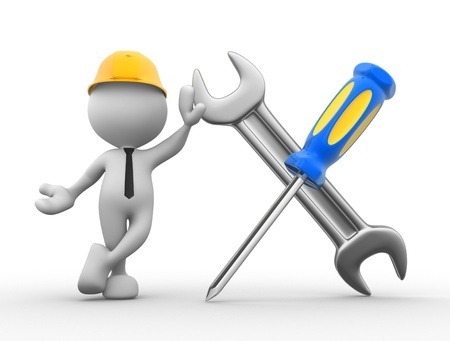 Outside of the immediate Shropshire area, we have other quality installers e.g. Ryan, who installs all doors in the Wolverhampton side of Telford, Birmingham and Midlands area. 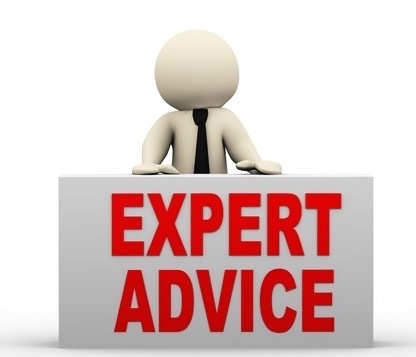 Phone or email our technical sales team based in Oswestry for help and guidance. 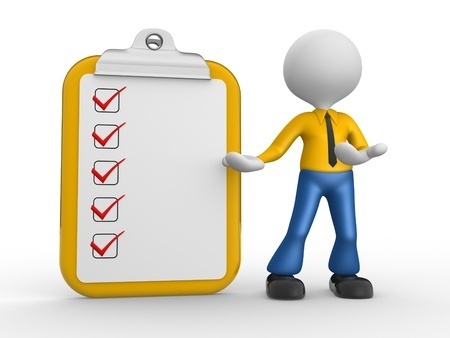 Complete the self survey form first so we can advise and quote accurately.